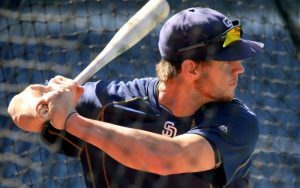 Garion Thorne is joined by Jim Sannes of numberFire to break down some statistical outliers from the month of June with Wil Myers at the forefront. Garion Thorne is joined by Adam Aizer, host of CBS’ “Fantasy Sports Today Podcast”, to dig into the upcoming Week 12 waiver wire and determine which flavors of the month are actually worth a roster spot. Has Zach Davies found the magic in Milwaukee? Will Danny Duffy work consistently deep enough into games to have an impact? 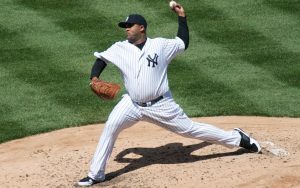 Is it time to actually start believing in CC Sabathia? What does a quick move to the top of the order mean for 2013 1st rounder Tim Anderson in Chicago? Is a hot two weeks enough to consider Derek Norris at the weak catcher position? Finally, what does one make of James Paxton? 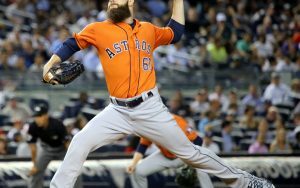 FANTASY BASEBALL – What’s Wrong With Dallas Keuchel? Garion Thorne explores both the 2015 and 2016 seasons of Houston’s Dallas Keuchel to try and determine where the left-hander has gone wrong this year. Are the reigning Cy Young winner’s advanced metrics in line? Why have opposing hitters had far more success versus Keuchel’s once devastating sinker? Also, why does it seem like its always just one bad inning with the Astro? The answers to these questions and more on “The Rotation: Analytics Overload”. Garion Thorne is joined on “The Rotation: Going Deep” by Jim Sannes of numberFire to explore the deep-end of the Week 11 waiver wire as Week 1o of the Fantasy Baseball Season comes to a close. Hyun Soo Kim has been a contact machine in Baltimore – can we continue to ignore his place atop such a prosperous Oriole lineup? Is Tommy Joseph’s small sample power surge an aberration or is he to be trusted? Will Brad Miller’s short stop eligibility be as enticing when Logan Forsythe returns in Tampa Bay? Finally, has Matt Adams locked down an everyday spot with the Cardinals? 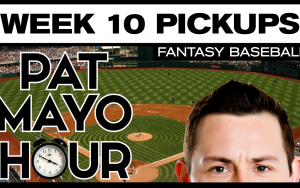 FANTASY BASEBALL – Is it Time to Trust Marco Estrada? 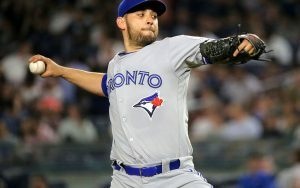 Garion Thorne takes a deeper look into the past season and a half for Marco Estrada and tries to see if we should be believing in the raw numbers or the far more negative advanced statistics. Could it be possible for the Blue Jay to keep up his current success? How are Estrada’s extreme fly ball tendencies actually helping his recent form? Also, has the veteran right-hander finally found another pitch to pair with his dominant change-up? All that and more on this episode of “The Rotation: Analytics Overload”. Pat Mayo and Chris Meaney debate the best Two-Start Pitcher streams heading into Week 10 of the Fantasy Baseball season. They review the most added and dropped players of the week, along with the top pickups of Week 10 and ways to find some cheap saves. 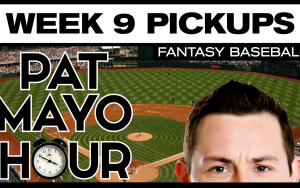 Garion Thorne is joined by Cory Schwartz, Vice President of Statistics for MLB.com, to analyze the waiver wire heading into Week 10 of the fantasy baseball season. Josh Tomlin has won 77% of his starts in 2016, but can he be trusted with a permanent roster spot? Will the Rangers be able to find a place for Jurickson Profar when Rougned Odor returns from suspension? 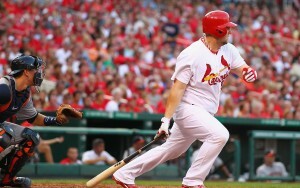 Is Matt Adams finally getting enough playing time in St. Louis to warrant consideration? Finally, is it time to consider cutting ties with Mark Teixeira and, if so, is Mike Napoli a possible replacement? Find out on this episode of “The Rotation: Going Deep”. Garion Thorne is joined by Host of Fantasy Sports Today Chris Meaney to discuss a trio of players who, not only have been on fire the past two weeks, but are widely available on fantasy waiver wires. After a truly awful April, how much can we trust the scorching May of Tampa Bay’s Logan Morrison? With positional eligibility always at a premium is Jose Ramirez worthy of an add regardless of if he keeps up the pace of his last 14 days? Finally, can Cincinnati’s Adam Duvall make enough of an impact in the power categories to offset his monstrous strikeout rate? Find out on this segment of “The Rotation: Analytics Overload”. Pat Mayo and Chris Meaney debate the best Two-Start Pitcher streams heading into Week 9 of the Fantasy Baseball season. They review the most added and dropped players of the week, along with the top pickups of Week 9 and ways to find some cheap saves. Garion Thorne is joined by numberFire’s Jim Sannes to break down the Week 9 waiver wire on this episode of “The Rotation: Going Deep”. 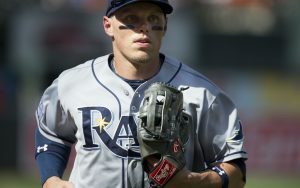 Is Brandon Guyer, who has always been a platoon outfielder, worthy of an add with his expanded role in Tampa Bay? Can Trayce Thompson take full advantage of his new found placement in the Dodgers’ batting order? Will Michael Fulmer’s FIP and strikeout numbers continue to hold his fantasy value as his ERA sits above 5.00? Also, can Jason Castro (yes – THAT Jason Castro) really have any sort of fantasy relevance?